A Lithuanian national, who served as a paramedic in the country's Armed Forces, has been charged with spying against the state. The criminal case was handed to court on Wednesday, the Prosecutor General's Office said. Raimondas Petrauskas, deputy chief prosecutor of the Office's Organized Crimes and Corruption Investigation Department, only identified the defendant as A. O. "He spied for the Belarusian secret service," the prosecutor said. The Prosecutor General's Office said in a statement on Wednesday the Lithuanian citizen was recruited by the Chief Intelligence Board of the Belarusian Armed Forces' General Staff. He is suspected to have provided information for five years and received financial reward for his services. "It has been concluded that damage has been done as the publication of personal information about certain people poses threat to their health and lives," the prosecutor said. The Chief Intelligence Board of the Belarusian Armed Forces' General Staff was interested in the military equipment, weaponry owned by units of the Lithuanian army, the function of buildings, Lithuania's participation in NATO operations (missions), plans of standard operations, various military exercises, information about the number of people working for specific divisions and services, their names, personal characteristics and moral values, their agendas. Prosecutors say the defendant collected information through communication with servicemen, observing, memorizing and, if possible, documenting by means of photographs or other ways, various documents and plans, writing down personal information about servicemen from official documents, including registration books or journals. The suspect was born in 1986 and resides in Kaunas, Lithuania's second-largest city. He has secondary education, is not married and had no previous convictions. He served as a paramedic at the Lithuanian Grand Duke Algirdas Mechanized Infantry Battalion. He was detained on 24 January and has been awaiting trial in custody ever since. In November, charges have been brought against an employee of Lithuanian state company Oro Navigacija (Air Navigation), suspected of having spied for Belarus. Prosecutors said back then that a second person was still under investigation. Prosecutor Petrauskas said the two cases were not related. The Lithuanian military paramedic charged with spying for Belarus had no right to work with classified information and his contract was terminated once suspicions arose, the Lithuanian Ministry of National Defence says. "I regret the fact that such a case took place in the army but this case once again demonstrates that our procedures function. Through cooperation with other institutions, such things are prevented and we will step up those measures involving information protection. 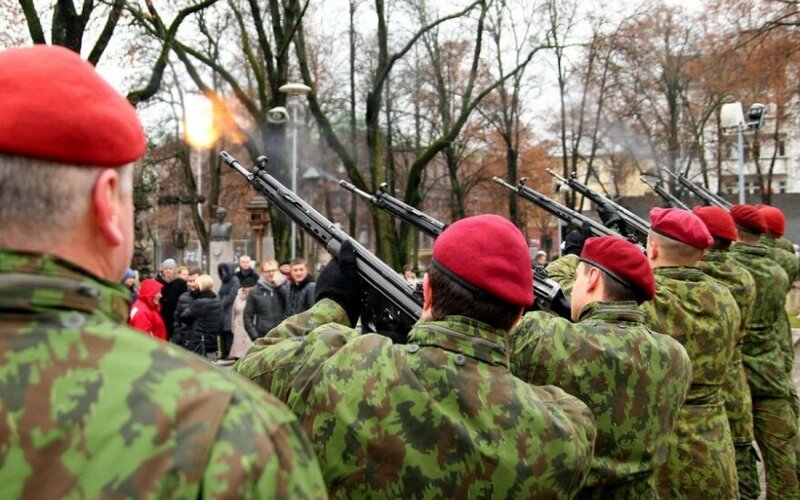 I believe that all other people who will try to do that will face the same outcome just as this ex-soldier who was dismissed from military service in late April," Minister of National Defence Juozas Olekas said. According to the statement, the defendant had no right to work with classified information and could only collect information during daily activities, training events and exercises. "But the information collected by that persons creates conditions for the assessment of combat capabilities and tasks of army units, and this way could have caused damage to the interests of both the army and the state's security," the statement reads.